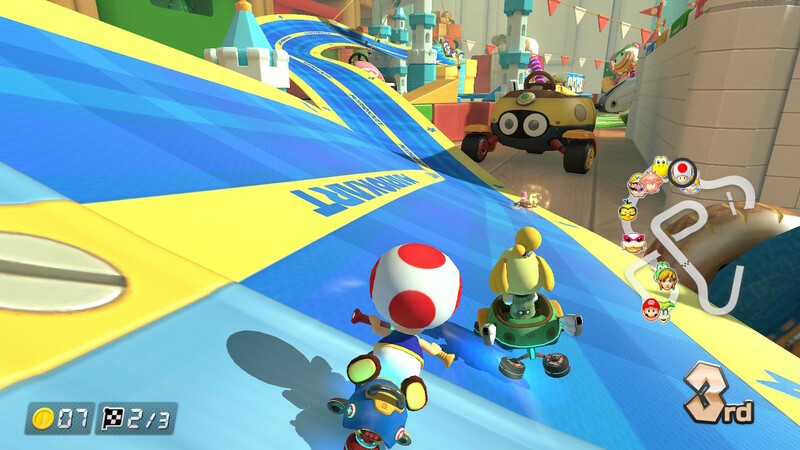 It’s now been a couple of months since Nintendo Labo, and it looks like Nintendo is ready to move on to the next step. 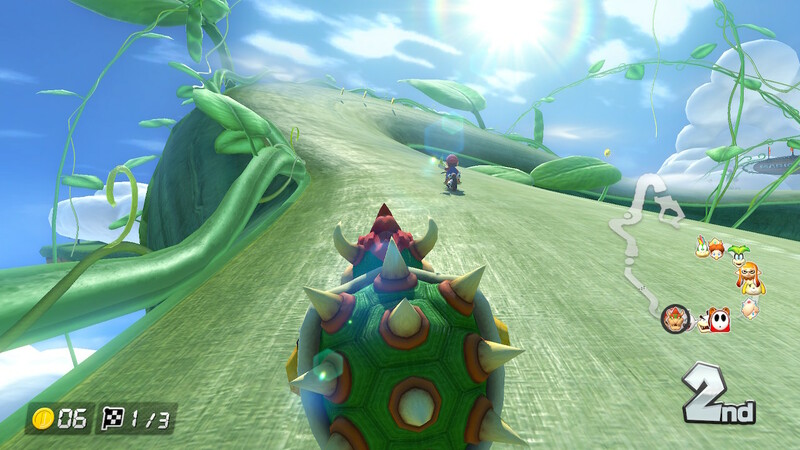 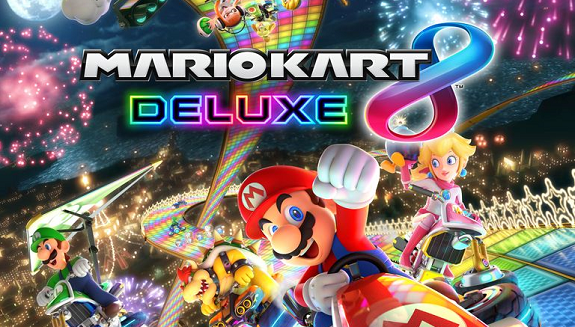 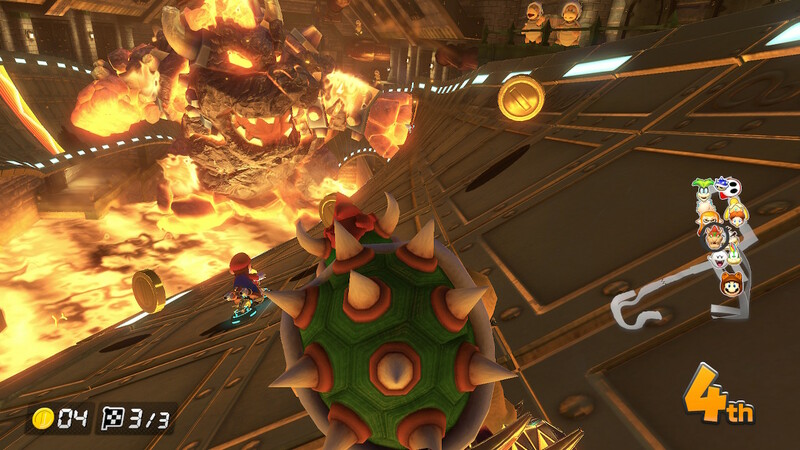 Today, the company released a new Software update for Mario Kart 8 Deluxe (Ver. 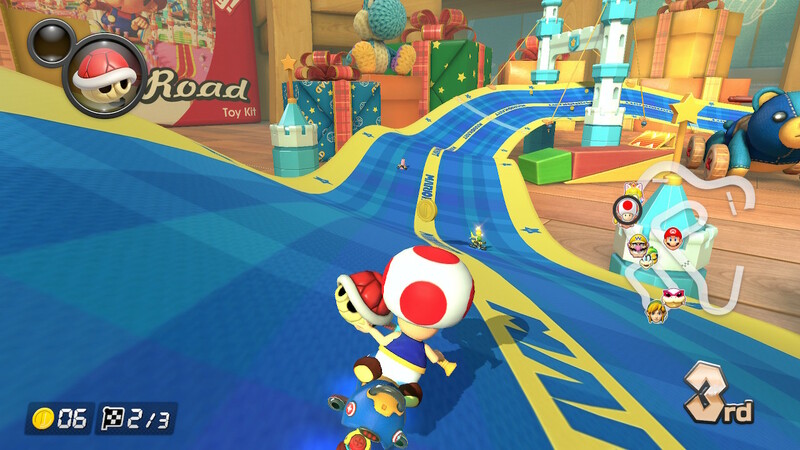 1.5.0), that adds compatibility with the Toy-Con Motorbike from Nintendo Labo Toy-Con 01 Variety Kit. 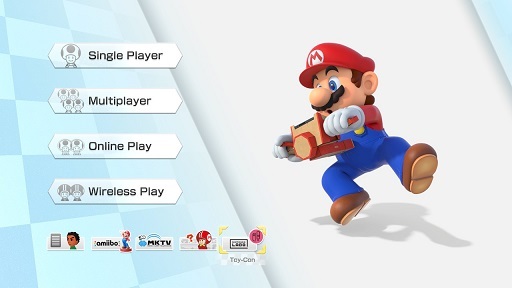 And it’s just the beginning: Nintendo has confirmed that more games will be updated to add compatibility with Nintendo Labo. 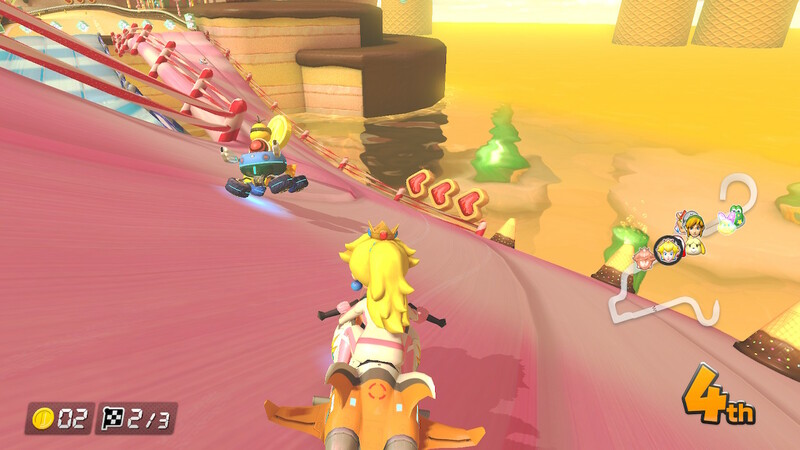 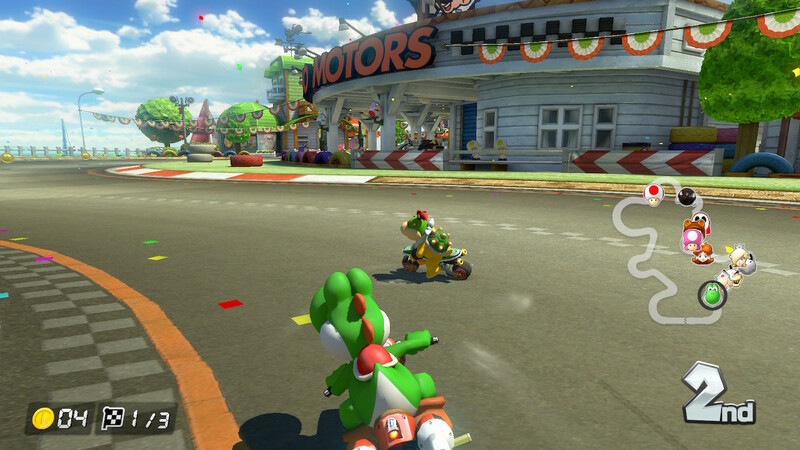 You can use the Toy-Con Motorbike either in TV mode, or in ‘Handheld Mode’ by inserting the console directly into the Motorbike’s dashboard. 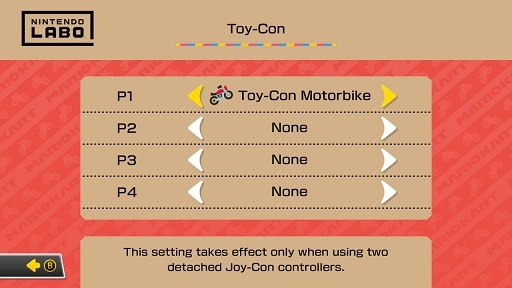 Also, don’t worry if you like to use Smart Steering and/or auto-accelerate: those features are also available when using the Toy-Con Motorbike! 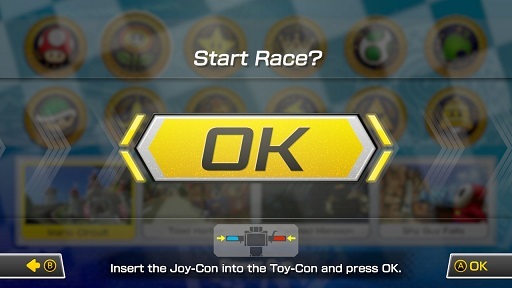 You can now set whether or not to use the Toy-Con Motorbike from the Toy-Con settings in the top menu. 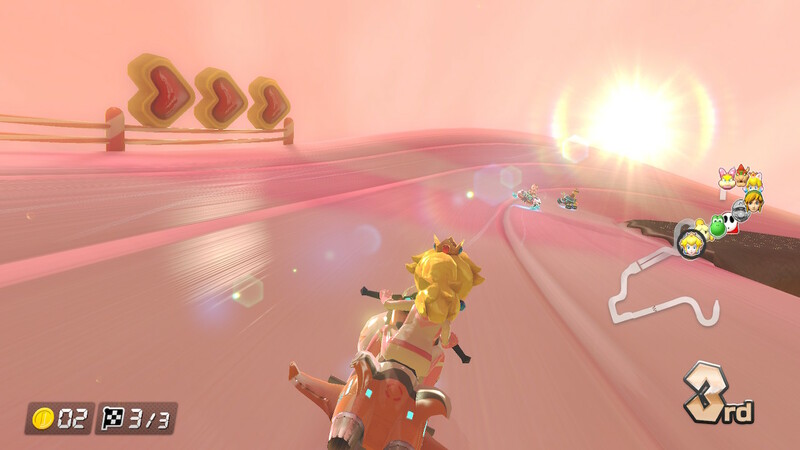 At the screen right before the game begins, please set the Joy-Con inside the Toy-Con Motorbike. 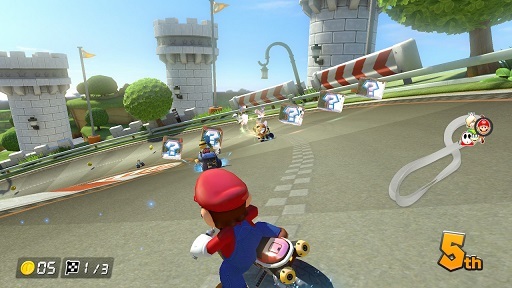 When using the Toy-Con Motorbike, the camera will look over the character’s shoulder, increasing immersion. 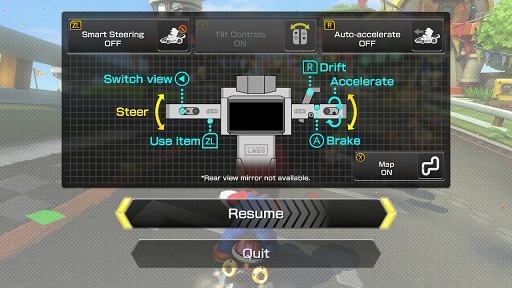 Press the downward directional button to play with normal view again.